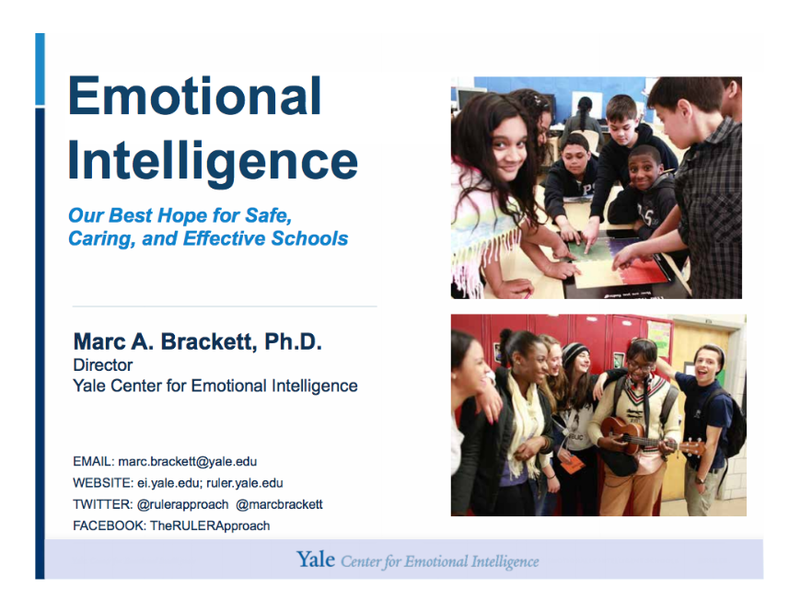 WHY IS SOCIAL AND EMOTIONAL LEARNING IMPORTANT? WHAT IS THE HEART-BRAIN CONNECTION? Just as students need to learn how to read and write, they need to learn social and emotional skills like how to get along with each other, how to make friends and how to regulate their emotions. Since our educational system follows a model that separates emotions from cognition, it usually does not see the need to focus on emotional and social skills in school. Critics of this approach say that children deserve to feel happy and safe whether they are in or out of school, and that the way a student feels has a direct impact on their ability to learn. Any teacher, student or parent can give examples of how learning suffers when a child is worried or anxious or feels bad about their learning abilities. Now, however, due to new advances in brain imaging, neuroscientists are starting to be able to show how intricately connected cognition and emotion are in the brain. The research is also showing the “plasticity” of the brain, or the brain’s ability to change in response to training and experience. This type of concrete scientific evidence may provide more of an incentive for schools to adopt a social/emotional learning program if they are convinced that such a program can be counted on to improve educational outcomes. Additionally, as more research is carried out, findings may point to better techniques and strategies to help children both academically and emotionally. Talk by Professor Richard Davidson on "The Neuroscience of Social, Emotional and Academic Learning"
WHAT IS SOCIAL AND EMOTIONAL LEARNING? Social-emotional skills—like math skills—build on each other. This universal, classroom-based program is designed to teach children how to understand and manage their emotions, control their reactions, be aware of others’ feelings, and have the skills to problem-solve and make responsible decisions. The curriculum covers Blindness and Low Vision, Deafness and Hard of Hearing, Autism, Physical Disabilities, Intellectual Disabilities, Learning Disabilities, and Chronic Medical Conditions such as Allergic Conditions, Asthma, Diabetes, and Epilepsy. MeMoves™ is an easy and innovative way to increase attention and calm in as little as two minutes – in the classroom, at home, anywhere – for people of all ages and abilities. A multimedia program that transforms the mind and body through interactive “body puzzles,” this patented system was designed to activate the parasympathetic nervous system, providing the user with an effective tool for self regulation in only a few minutes. Each MeMoves™ sequence is a patented combination of music, movement and images, utilizing simple, geometric shapes. Organized into three categories; Joy, Focus and Calm, users select one of 13 video sequences and follow along (imitate) the actions on the screen. The Zones is a systematic, cognitive behavior approach used to teach self-regulation by categorizing all the different ways we feel and states of alertness we experience into four concrete zones. The Zones curriculum provides strategies to teach students to become more aware of, and independent in controlling their emotions and impulses, managing their sensory needs, and improving their ability to problem solve conflicts. By addressing underlying deficits in emotional and sensory regulation, executive functions, and social cognition, the curriculum is designed to help move students toward independent regulation. The Zones of Regulation incorporates Social Thinking® (www.socialthinking.com) concepts and numerous visuals to teach students to identify their feelings/level of alertness, understand how their behavior impacts those around them, and learn what tools they can use to manage their feelings and states. Playworks -Playworks creates a place for every kid on the playground to feel included, be active, and build valuable social and emotional skills.